Who doesn’t love a big bowl of ice-cream? Sure, there are plenty of flavors to choose from. But, as we all know, chocolate is one of the most beloved of them all. What better way to celebrate Chocolate Ice-Cream Day than with a bowl and your favorite toppings? Have fun celebrating chocolate ice-cream day! Many people love to make their own ice-cream with preferred ingredients in their own kitchen. 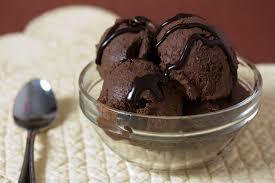 The Food Network has you covered with a wide array of recipes for the home-made chocolate ice-cream lover. Everyone from Alton Brown to Dave Lieberman and Emeril (Bam!) Lagasse all have suggestions for the chocolate ice-cream that fits your taste buds. When you make your creation, there are several choices with which to top it off. According to The Top Tens, certain toppings such as caramel, hot fudge and sprinkles are bigger favorites. But, let us know what yours is. If you want to go the more traditional route, the Upstate has several ice-cream shops. Go out and enjoy yourself at your favorite place. While there, you may view any one of our beautiful homes in the area. Our team members are here to answer all of your housing questions and concerns.